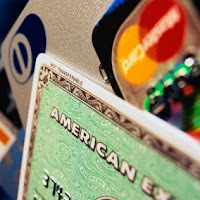 With the country in a deep recession, and a new law that has many banks concerned about the profitability of their credit card products, you might be thinking that subprime credit cards are on their way out. To the contrary: it seems that subprime cards are performing relatively well for certain banks, thank you very much. Consumers who have a limited credit history or no credit profile at all, and those who have bad credit, may be glad to know that subprime cards are still profitable for banks, so they aren't going to die out any time soon. "...British bank HSBC Holdings PLC, which has a large portfolio of U.S. credit-card customers, now generates better results with its subprime credit-card businesses than the portfolio that includes more-creditworthy customers, North America Chief Executive Brendan McDonagh said in a conference call Monday. HSBC's subprime credit-card customers generally have lower credit limits than prime customers, averaging less than $500, and are defaulting at a lower-than-expected rate. The reason: For many of those borrowers, a credit card is their only form of noncash payment. About a quarter of HSBC's $41 billion credit-card portfolio is considered subprime, and the delinquency rate on that is 10%, a 21% increase over last year. But because of higher interest rates charged to these borrowers, HSBC says that business is profitable. One reason prime delinquencies are up is rising unemployment. When these borrowers lose their jobs they typically focus on making their mortgage payments and, because they tend to have multiple credit cards, they are more likely to let some of them default..."